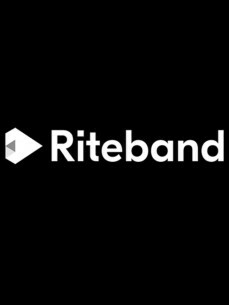 Riteband is an early stage Swedish start-up in the intersection of music, fintech and gaming developing the world’s first stock exchange for music. The successful launch of the prototype early in 2017 illustrates the future of trading in music by demonstrating how you will be able to discover and listen to music that is up for trade. Not only will fans be able to reconnect with, and back their favorite artists, but for the first time ever, institutional investors, family offices etc will be able to invest in an asset class whose risks do not correlate with systematic risks in other markets. Simply put, our platform turns songs into cash for artists, and provides new investment opportunities. Our long-term vision is a sustainable future for creators and supporters of IPR:s in the digital era. By allowing expectation values to be realized through trade in the same manner as on the stock exchange, Riteband can make the music industry revenue pie grow substantially. Riteband’s business model is scalable to any IPR:s like sport rights, literary rights, film rights, patents etcetera.